When it comes to the production of modern circuit boards, Multi Circuit Boards is your competent and reliable partner. We produce low-cost single-layer versions as well as multi-layer boards with up to 48 layers, in first-class quality and ready for PCB assembly. For the SMD assembly of your circuit boards, we also create high-precision SMD-Stencils according to your specifications. The exactness of these stencils is of crucial importance when applying the solder paste and the subsequent assembly process. The precise axial toleranceof ± 2µm and a repeat accuracy of ± 3µm provide optimum conditions for solder paste printing. For many years, conventional THT components (through-hole technology) have been used for the assembly of printed circuit boards. Their connecting wires are passed through soldering holes and soldered afterwards. 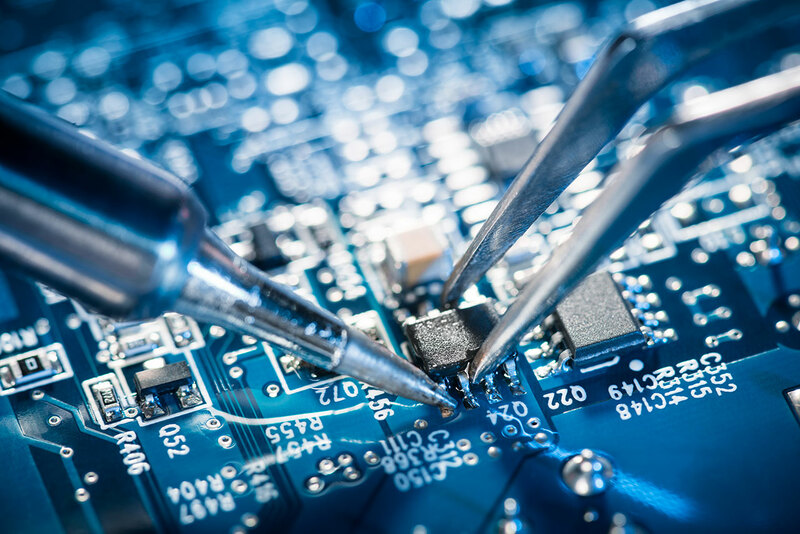 Up to now, this has changed drastically: the majority of modern circuit boards are equipped with SMD components ("surface-mounted device"), which only rest on the printed circuit board and require considerably less space. In addition, two-sided placement is possible. Modern assembly machines do their work fully automated, computer-assisted and much more efficient than THT. Give the production of your circuit boards into our capable hands. Depending on your requirements, we will supply you with prototypes as well as series. In our circuit board online calculator, order the SMD-Stencil for PCB assembly directly together with your printed circuit board. Depending on the type and size of the order, the complete production is possible for us starting at 48 hours. If you have any questions regarding our performance portfolio, please do not hesitate to contact our customer advisors / technicians who will give you expert advice!